When it comes to making donations, many of us have felt some angst in deciding where our money can do the most good. We often hear stories of 'charities' that are less than... charitable. In a recent report by Adrienne Hill on NPR's Marketplace, Americans give more to charities, per capita, than any other developed country. In 2011, we gave $200 billion dollars. Tampa Bay Times compiled a list of the Top 50 worst charities. Many names of the worst charities are very similar to legitimate charities. For instance, the number one worst charity, Kids Wish Network, sounds much too similar to, Make A Wish Foundation a legitimate respected organization, where donations go to helping very sick children see one of their dreams come true. With the Kids Wish Network, only 2.5% the $127.8 million they raised, went to direct cash aid. So where did the other millions go? $109 million of it went to paying solicitors to raise the money. According to Kendall Taggart, of The Center For Investigating Reporting, many charities exist pretty much to pad the pockets and salaries of their founders. Often the value of goods that are shipped overseas cannot be verified. And then there are charitable goods shipped domestically that are outright insults to the recipients. One cancer victim in Knoxville, Tennessee, reached out to Cancer Fund of American to help with medical costs. He received a package containing paper cups, napkins and plates, along with children's toys, you know, things that help a cancer patient pay for medical costs. The patient's wife was so disgusted, she threw the entire package away. Thankfully, there are a few reputable organizations online that can help us search charities to differentiate the good from the unscrupulous. Here are the 50 of the worst charities, with the first being the worst. They are ranked by how much they raise, how much goes to pay the fund-raising solicitors, and how much goes to the actual charity. The title link above the list, will bring you to a page with an interactive chart and more information about charities in general. One of the most disturbing aspects of this list, is that the names of most of these pseudo charities are designed to pull the heartstrings of donors who think their money is going to help very sick children, women with breast cancer, veterans... when very little, if any is actually going to those in need. Makes me want to scream out their names on the highest mountain. I'll have to settle with posting them here, as the best way to deal with this problem, is to become informed and ask charities questions like, "How much of my donation is actually going to this cause?." I'm grateful to all those who have taken the time to compile this information, which helps many of us to discern where, and where not, to place our donations. Make sure your donations are actually going where you want them to. Americans give generously. We give more to charity per capita than any other developed nation; more than $200 billion in 2011. But all that money may not be going where we think. The Tampa Bay Times and The Center for Investigative Reporting have released a list of "America's Worst Charities," 50 organizations that raised billions of dollars, but gave hardly any of it to the people who need it. In some cases, these charities gave no money at all. Instead, much of the money went to paying fundraising firms -- those people who bombard us with calls and direct mail. Kendall Taggart is a data reporter at the Center for Investigative Reporting. "I think for a lot of these groups that are using outside fundraisers, it's an easy way to cover their own salaries and there's very little regulation to making sure that they follow through on the promises that they've made to donors," says Taggart. Taggart says these charities provide help to the causes they are supposed to support with what's called "gifts in kind" -- things like medical supplies that they ship overseas. The problem is that there's no way to verify the value of those goods, so they can be used to inflate a charity's revenue on the books and what it looks like they're doing in terms of programs. "The top of our list is an organization called Kid's Wish Network. They operate out of a metal warehouse in Holiday, Fla. Over the past decade they've raised millions of dollars. Of that, about 80 percent -- $110 million -- has gone to professional solicitors, $4.8 million has gone to the charity's founder and his consulting firm, and only $0.03 of every $1 that they've raised has actually spent directly on helping kids," says Taggart. "Most of the causes are popular causes that appeal to donors and may sound like a more well-known group." To make sure that you're sending your money to good places, Taggart says there are many resources to research cahrities online. "Some basic steps that people can take if they get a phone call at home is to find out exactly who's calling, where their donation will go, what they'll do with your money and, if you get a call, know that there's a cost and they -- if you ask -- need to tell you what that cost is, whether the telemarketer is going to take $0.80 or $0.90 or that kind of thing," says Taggart. She says you should ask the question: "How much of my donation is going to go to the charity versus your professional firm?" 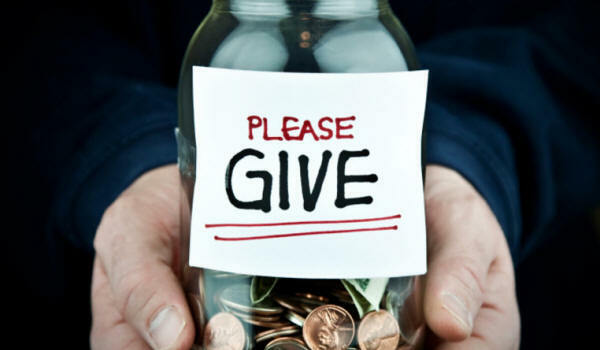 One last piece of advice: some watchdog groups say that if you receive a phone call asking for a donation, you should hang up; the best way to make sure that your money is going where you want it to go is to give directly.